Debut studio album originally released in November 1978 by Polydor, except in Australia by Interfusion. Recorded at RAK Studios (London), mixed at De Lane Lea Studios (London). Produced by Steve Lillywhite and the band. Lyrics and music by the band, except "Helter Skelter" by Lennon - McCartney. In 1984 the album was reissued in the USA by Geffen Records. In some countries, the album originally includes the single Hong Kong Garden (August 1978). Another single was later issued from this album: Mittageisen / Love In A Void. First released in Germany in June 1979, then in the UK in September with a slightly different mix for "Love In A Void". Excellent quality reissue of a classic album. There has been a lot of debate over the standard of the remastered sound and the quality of vinyl pressings of various contemporary reissues. I am not a hi-fi expert or musical boffin but it sounds great on a standard turntable and set up. quiet vinyl and great sound. Lovely shade of blue and limited to 1000. Fans need to pick this up now if they need one- buy it now whilst its still available at the regular retail price as speculators are sure to hike up the price when its gone I've already seen people asking £90 on ebay. My copy matches one of the matrix runout listed above Ʊ (drawn as a lyre) POLD 5009 B // 2 E UT 1 1 Ʊ 4, but not the other. Sounds nice. Sounds similar to the first series of Abbey Road reissues. Big drum sound, detailed midrange, vocals a tad bright but good clarity and balance. Didn't detect any surface noise on this one either! Played clean! (unlike my copy of JuJu which had noise on the lead in tracks and minor clicks and pops). Nice thick, flat 180g pressing, comes in polylined inner sleeve with replica inner sleeve. Don't think there's any complaints on this one. 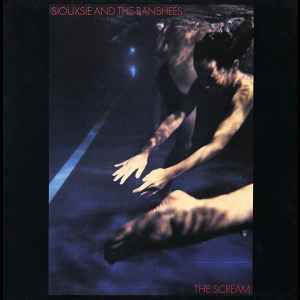 UK pressing of Siouxsie's first album is definitely the way to go. All of the punk noise is there, without unnecessary distortion. Crank up "Suburban Relapse" or "Carcass" and remember how good it sounds to be bad. they both seem to have the correct matrix numbers. One has a glossy outer sleeve and no inner the other a matt outer and a printed inner. It seems the inner could have been lost? but which is the correct outer sleeve? Are Picture Discs Suppose To Have Surface Noise? This One Seems To Be Loud. Can Anyone Confirm? A very harsh "remaster", actually quite difficult to listen to (especially on headphones). Stick with the original LP (convert it to digital yourself if you need it on the go), or if you want a clean digital version you could try an earlier CD issue.